Indoor climbing with a difference! It’s fun, it’s weird, it’s wacky, it’s totally CRAZY! The Lakeland Climbing Centre brings you two exciting activities for anyone ages 5+ with CrazyClimb and SkyJump. 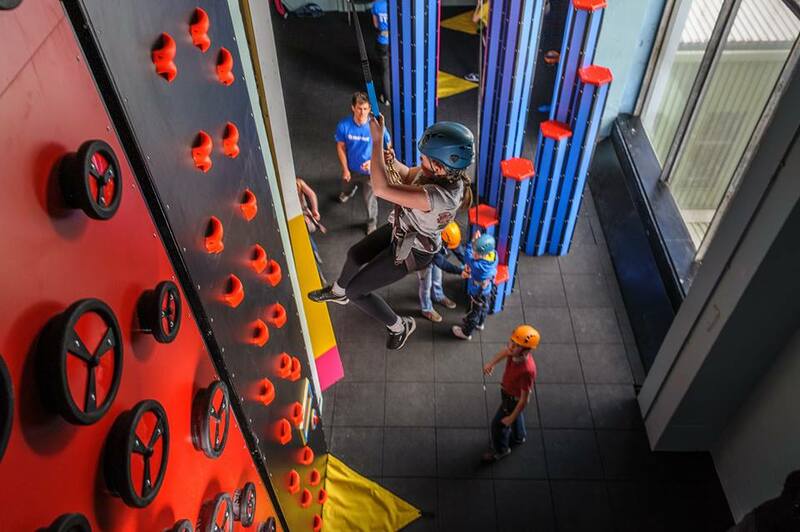 CrazyClimb allows you to tackle 12 different climbing walls. 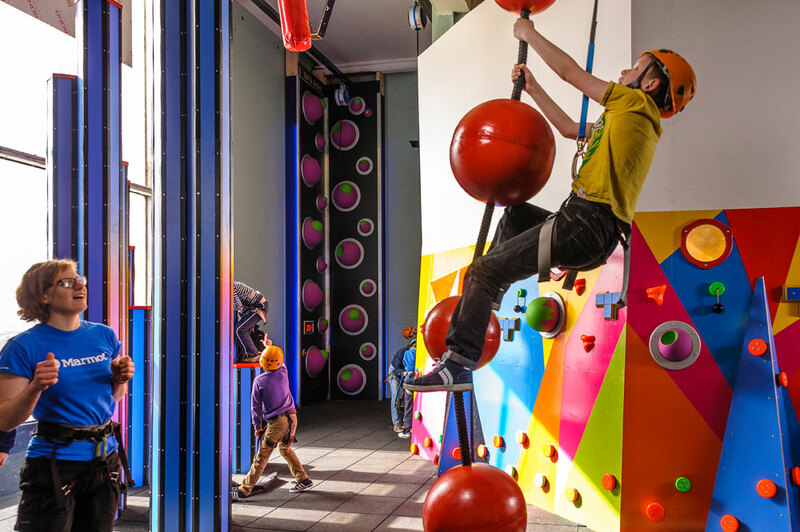 Each wall has its very own special theme for you to try and work out then climb up, some devious, some mind bending and some downright ridiculous. Our experienced instructors will supervise and guide you throughout your session whilst the TruBlue auto belay systems will get you safely up the wall and lower you softly to the ground, all you have to do is climb! 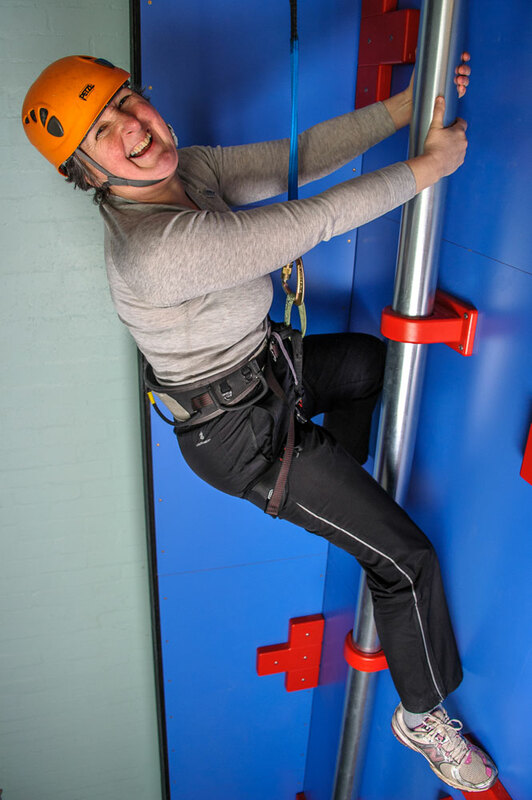 This activity is perfect for people who are looking to just get on the wall and climb, with minimal fuss. SkyJump is a part of the Kendal CrazyClimb based at the Lakeland Climbing Centre. Step off the edge and plunge down an 18 metre shaft in pure free-fall, then as the ground rushes to meet you and fear starts to overtake your senses, feel the safety and security of the Quick Jump technology engage and lower you smoothly to the floor, placing your energised body back safely on the ground ready for more! CrazyClimb and SkyJump do not require you to have any previous climbing experience. All participants must register with the Centre. Register here. 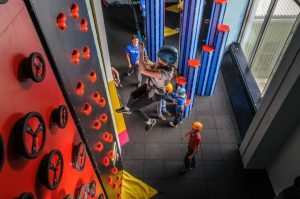 Book places in an open CrazyClimbPlus session and have the option of choosing SkyJump as an add-on extra with your session. Book an exclusive session just for you and your friends, either the Birthday Party option or just having fun as a group. 01539 721766 to check availability.